It is Avoras’ priority to provide an exceptional customer experience and have a commitment to customer success. We measure our success by yours. We encourage customer innovation and we are eager to improve the value we can deliver to our clients. For our clients we find the best talents, combining a passion for excellence with long term strong process and IT skills. We strive for productive, long-term relationships. We respect our clients’ unique business needs and identity. We are experienced and independent advisors for talent management and complex technology transformations. Our competencies are the essential ingredients of success at work. Our team will contribute to better leadership, functional and technical skills. AVORAS was founded by ex-PwC / IBM Partners and Life Science experts who want to become the business and technology talent partner of choice. 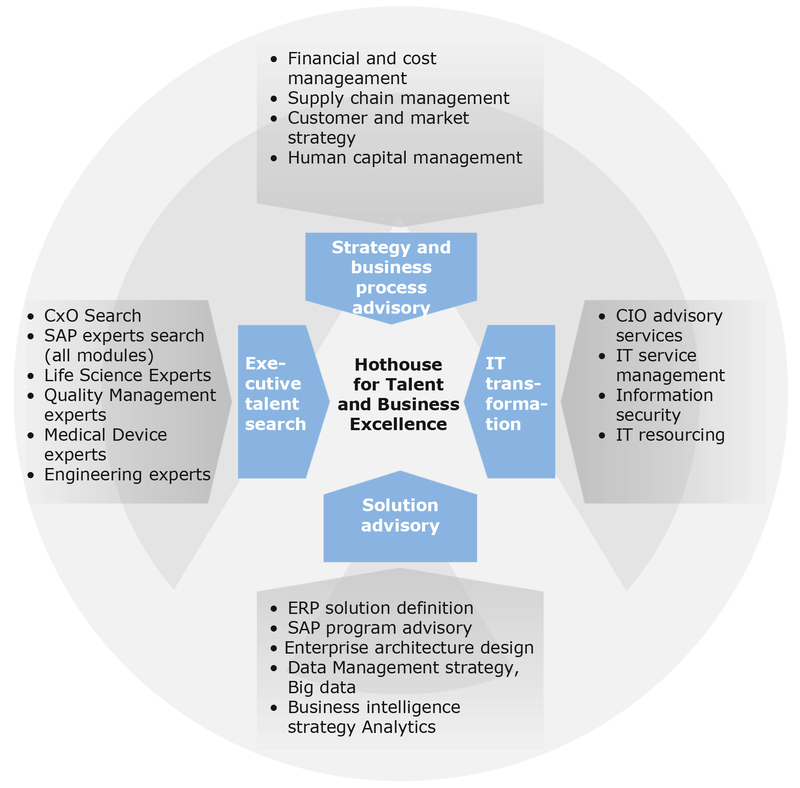 We are experienced and independent advisors for talent management and complex technology transformations. Our key objective is to help companies realising the full benefits of technology enabled business investments. Our leaders have more than 20 years consulting and industry experience as project leaders. They delivered successful global roll-outs and projects to their clients.